Blockchain — the peer-to-peer, decentralized, distributed ledger — has long evolved from being just a technology behind Bitcoin. Blockchain technology is applied for innovative social projects in many areas such as decentralized and cloud services for healthcare support, patient records, supporting microfinance transitions and guarantees, cloud-based learning and much more. What makes the blockchain universal is how it can be implemented for any kind of transaction, record-keeping or agreement between one or more parties. Though many people associate blockchain technology solely with cryptocurrency transactions, it can be used to record any type of exchange—for example, property sales, audit data, voter identification, or supply chain origin. Below are some examples of how blockchain could be used for social good. The Blockchain for Social Impact Coalition (BSIC) was formed to leverage the power of the Ethereum blockchain for those in need. BSIC says it incubates, develops, and implements confederated blockchain products and solutions that can address social and environmental challenges across the United Nations Sustainable Development Goals. It aims to inspire, federate, and create bridges between NGOs, and governmental agencies, foundations, impact investors, philanthropists and technologists. Alice is a social funding and impact management platform built on the Ethereum blockchain. The platform incentivizes social organizations (charities, NGOs, social enterprises) to run projects transparently, by making sure that they get paid more when they achieve their goals. Alice uses a “payment for success” mechanism where donors only pay if social organizations can demonstrate they have achieved their pre-specified project goals, as verified by independent validators. Impact investors provide the working capital necessary for social organizations to start their projects, and automatically get repaid when goals are achieved. Medicalchain uses blockchain technology to securely store health records and maintain a single version of the truth. Different parties such as doctors, hospitals, laboratories, pharmacists and health insurers can request permission to access patients’ record to serve their purpose and record transactions on the distributed ledger. Medicalchain provides solutions to today’s health record problems. The platform is built to securely store and share electronic health records. Civic is a blockchain-based identity theft protection platform that seeks to provide every person on Earth with a digital identity that they can use to interact privately and securely with the world. Civic’s network accommodates three different –but interdependent– individuals/entities: users, validators, and service providers. 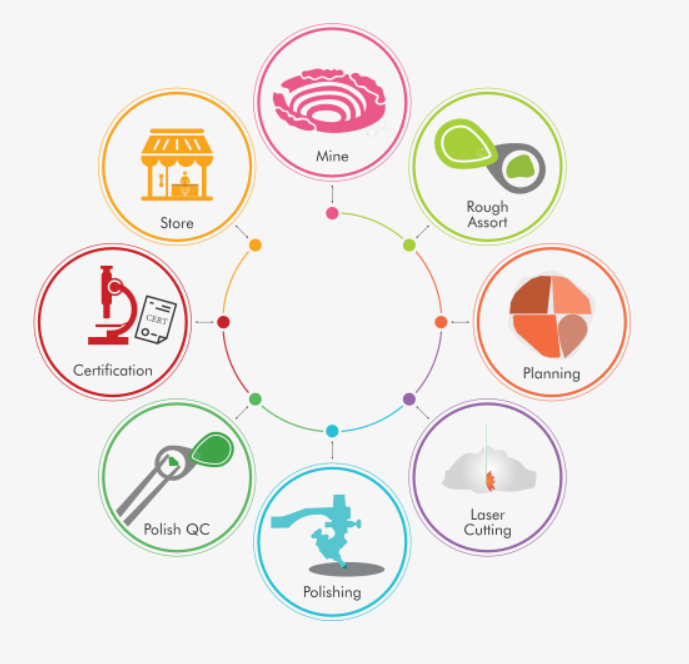 Civic is an identity management service that allows to protect and authorize the use of anyone’s identity in real time. Civic sends notifications to people about the use of their identity but never shares personal information with any of the partners. Aiming to become the trusted third-party source for securing and verifying identity, Civic is building partnerships with banks, credit card companies, online lenders, wireless and cable providers, employee verification services – in fact, any institution that uses people’s identity. The Blockchain Emergency ID is a humanitarian aid project for individuals who cannot obtain other documents of identification. The purpose is to enable refugees to cryptographically prove their existence and family relations, recorded on the Horizon blockchain. The Blockchain ID works like a mini ‘web-of-trust’ where family members have to verify each other’s family ties through private/public key cryptography. Proving family relations can make it easier to reunite with children, parents, or siblings who may be in different locations. The ID form generates a QR code that should be saved on a cell phone. All the information on the form is readable through that QR code. Humaniq is a new generation financial service with its own cryptocurrency, which is aimed at eradicating poverty amongst millions of people living in the emerging economies. The Humaniq team is building a next-generation blockchain-based model for financial services (Banking 4.0), mobile devices and biometric identification systems. It seeks to empower a market of 2 billion people who currently don’t have access to banking across the world. Almost half the world — over three billion people — live on less than $2.50 a day. 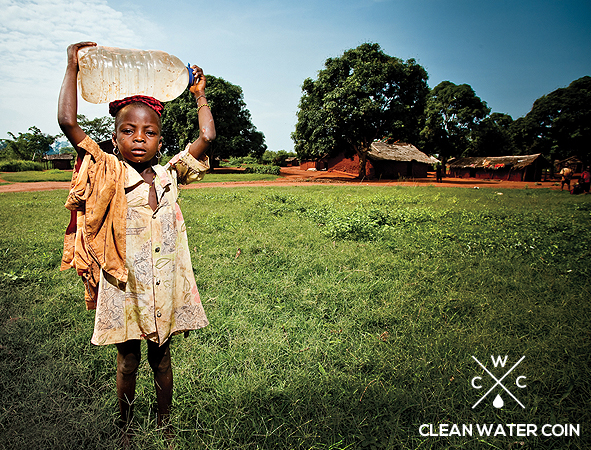 Registered as a nonprofit organization, the Clean Water Coin Initiative has teamed up with CharityWater.org to raise funds and help provide clean water to people worldwide. Anyone who mines or even uses Clean Water Coin will be helping save lives around the world. Every transaction will donate 0.1% of that transaction to the Charity Wallet. As a result, 1 coin will be donated to the Charity Wallet and the remaining 999 is sent to the user’s wallet. All donations will go to the Charity Wallet and from there will go to CharityWater.org. 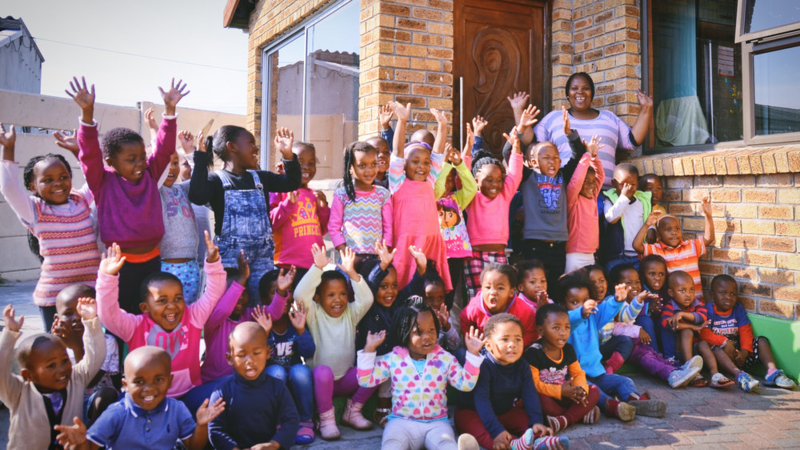 Project Amply strives to revolutionize early childhood development in Africa. It combines mobile and blockchain technology to increase the impact and accountability of public services and generate real-time data. Amply provides every child with their own self-sovereign digital identity based on the blockchain, which enables children to receive benefits and services that they might have previously been excluded from. Bitnation is the world's first Decentralized Borderless Voluntary Nation (DBVN). Bitnation started in July 2014 and hosted the world’s first blockchain marriage, birth certificate, refugee emergency ID, World Citizenship, DBVN Constitution and more. The website is used by tens of thousands of Bitnation Citizens and Embassies around the world. There are Bitnation entities incorporated in Singapore, Switzerland, Estonia, Belize and the Netherlands, with Bitnation Embassies and Consulates in over 30 countries. Bitnation is the winner of UNESCO’s Netexplo Award 2017. Everledger is a global startup that uses the best of emerging technology including blockchain, smart contracts and machine vision to assist in the reduction of risk and fraud for banks, insurers and open marketplaces. They have built a global, digital ledger that tracks and protects valuable assets throughout their lifetime journey. They collect an asset’s defining characteristics, history, and ownership to create a permanent record on the blockchain. Everledger’s Diamond Time-Lapse Protocol uses the blockchain technology to track the diamond’s story from the origin to the end customer. The platform aims to ensure that there is transparency along the entire diamond’s lifetime journey, instilling consumer confidence and driving industry growth. AID:Tech uses the blockchain technology to bring social and financial inclusion to the world’s underserved populations by offering innovative solutions to an international audience. The company provides enterprise level solutions to international NGOs, governments and corporates to help them tackle some of the most entrenched issues in their fields. They address some of the largest obstacles in global development, including legal identity, financial inclusion and corruption. Keeping pace with the global drive to utilize the distributed ledger framework, the European Commission has launched a new Horizon Prize called the ‘Blockchain for Social Good,’ with a total prize pot of €5 million to be allocated in five awards of €1 million each. This challenge is targeted at a wide range of actors: individuals, social entrepreneurs, civil society organizations, research centers from technological and social disciplines, creative industries, students, hackers, start-ups and SMEs. Developers have been tasked to create “scalable, efficient, and high-impact” blockchain solutions. Some of the focus areas include blockchain provenance protocols, decentralized voting, blockchain-based registries, and financial products. Submissions for the competition will close on September 3, 2019.